America has always been known as the land of opportunity and never more so in history than at the very beginning of the 20th Century. One of the many thousands of Europeans who crossed the Atlantic in search of horizons new was David Doniger, a hat-maker and entrepreneur from Scotland, who was leaving behind his family clothing business and looking to settle in the USA. Part of the McGregor clan, Doniger could trace his roots back to the first kings of Scotland and, possessing both a keen eye for business and a rather dapper sense of style, he had made enough money for the voyage by making caps out of the McGregor tartan. Finding himself in New York, it seemed only natural to set up business in the trade he knew best and introduce the city to the style of his homeland and, indeed, the joys of plaid. 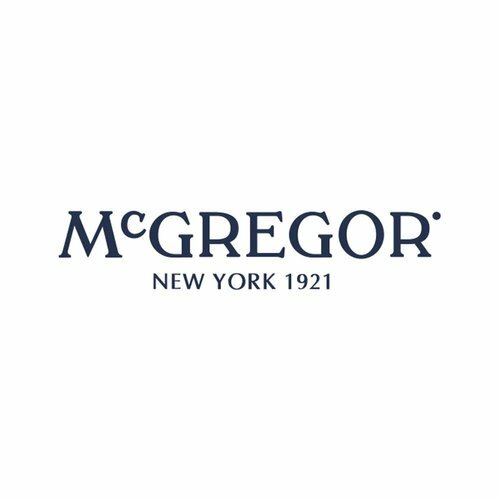 Today, McGregor's name still stands for quality, a sophisticated collegiate lifestyle and that unique ability that America has of combining European tradition with a leisure sporting life.